Do you feel powerless in your relationship? If your partner wins every argument by expertly twisting your words and the facts to the point that you end up apologizing or completely confused about what REALLY happened, you might be dealing with a narcissist. Let’s start by identifying the definition of a narcissist. Any online dictionary will generally define a narcissist as someone who needs excessive attention and admiration, has a grandiose sense of self, a tendency to exaggerate accomplishments and will exploit interpersonal relationships for their gain. It’s a psychological disorder characterized by self-preoccupation, lack of empathy (which is really key here), and unconscious deficits in their own self-esteem. Narcissists are also always seeking their narcissistic supply, so what feeds them? Interpersonal drama and highly charged emotional interactions. What can you actually do to get your power back in this situation, even when it can seem utterly hopeless? The first strategy is to be selective. Be discerning with what you share with any narcissist. In last week’s video, I discussed the Gray Rock Method, and how if you fully employ that method, you will actually be inspiring the narcissist to break up with you so you don’t have to end it with them and endure their wrath. The Gray Rock Method is all about becoming bland and boring, which is the opposite of what fuels a narc. Becoming selective about what you share with narcissists is a way of protecting yourself and what matters to you. The second tip is to know what you signed up for, even if it was a long time ago. It’s time to get educated if you believe this person is a narcissist. If they actually have Narcissistic Personality Disorder, they will most likely never change and no amount of you trying to get them to change will work. Knowledge is power. Research and learn as much as you can because there are different kinds of narcissism. It’s not always overt with a grandiose personality. There’s also a covert narcissist which can present as very weak, mild and insecure, and yet, they can be masters at quietly controlling you and making you feel insecure and like a terrible person. When you’re clear about the type of narcissist you’re dealing with, you’ll be able to manage your own expectations. The third tip is for you to honestly assess, right now, if you’re actually required to have this person in your life. The Gray Rock Method is especially helpful if you don’t have a choice. If this is the father or mother of your children, you can’t simply go no-contact. But there are people you might be getting involved with right now, as friends, mentors, lovers, employees, who could be narcissists. Deeply assess who you allow into your precious life and why. Being discerning now could save you years of pain and suffering in the future. 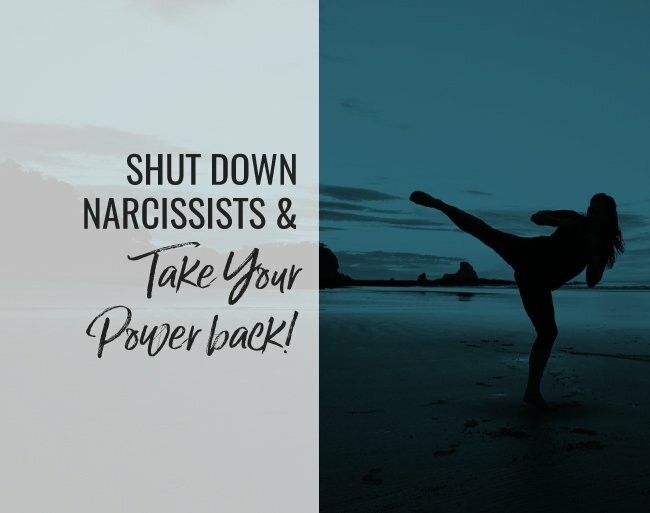 Click the button below to download the complete Cheat Sheet: How to Shut Down a Narcissist right now. Knowledge is power. Take this advice and learn everything you can and you will be in a much better position to avoid being controlled by others. To successfully protect yourself you must first believe that you have the right to choose, then you need strategies and language to draw rock solid boundaries. I believe you can do it and I will be cheering you on like a wild maniac! I thnk you are great! it may seem weird or unrelated but the forgiveness prayer in very powerful. I am sending you strength and cheering you on! 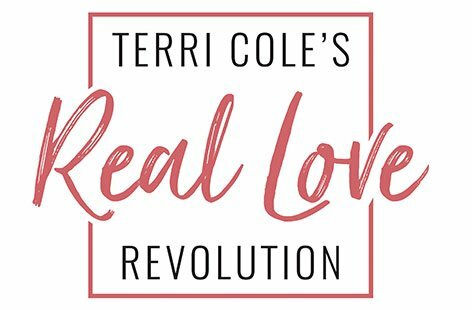 Thank you teri Cole…..You put words to my each feeling, where I have become so energy less that I can’t put my feelings in words..I feel tierd of the drama that I have gone through. Is it really possible to heal from such an abusive relationship.? Will i be that fun loving person back again? Thank you for sharing here. It IS possible to heal as long as you are OUT of the relationship. You can become your fun loving self again PLUS use the wisdom from your experience to make future decisions. Keep taking good care of you and focussing on your own growth and healing, my friend. So Terri I have a Grandson and a mother who seem to follow your pattern for Narcissists. The relationships are not optional in my life. So while being bland or disconnecting and buying in can work at times it is exhausting. Tips for dealing with these people ongoing would be helpful. The advice I gave in the vid applies here too. Limit how vulnerable you will allow yourself to be and even limit the amount of time you spend if they are true narcs. It IS exhausting and by creating some space you will have more time to replenish your own energy. Wishing you so much good luck! Terri, I just found you and I am so grateful. There has been something seriously wrong in my marriage from the beginning and for the first time in my life I couldn’t outwork the problem. I have had to set boundaries. My husband has ADHD that is undiagnosed and untreated. He has cycled through four long term partners (I am his third wife-red flag missed). I have slowly been figuring out how to establish boundaries. Right now our relationship doesn’t consist of much because he is not investing in it and I am not over compensating or chasing the tornado to make it work. I appreciate the peace, calm, surety and kindness to your approach. I watched three of your videos on YouTube back to back last night. I know I am not supposed to need external validation but sometimes my brain gets so confused it is nice to have some brief moments of clarity. I am working on myself right now. I am going to counselling in the new year to discuss my inability to engage with my husband. I want to be loving, affectionate, and giving, but not self sacrificing. Thanks Terri. Have a wonderful Christmas. Not sure I understand your contrast of codependent and narcissist. I get the way they “fit” in a relationship. I understand each feeds the others needs. I understand they are both a pathology or psychosis from a defective childhood. But, where is the harm to others in being codependent? A narcissist destroys people, lives, and trust. It shakes your world to its core. One is authentic. The other is a lie. Thanks for a great question! The main harm the codependent does is to themselves and the quality of their lives. I will disagree with you that codependency is ‘authentic’ per se- as it is behavior driven by fear and playing out unresolved childhood injuries. That is not to say that codependents are not natural caregivers as many are (myself included) but if that caregiving comes at the expense of self it is unhealthy and not driven by choice or authenticity. Thanks again for being here! Oh my!!! My wife is always throwing things in my face about how much she’s done and how little I do (but then she’ll praise me for all I do when she is apologizing), she shames me, she is covert, extremely thin-skinned and has no empathy for how I feel about things. She has used her kids against me and has used my kids to try to get to me. She has threatened to cut off my p***s, pulled my hair, gets upset about the simplest of questions and says I’m putting her down if I tell her to stop verbally abusing me. Then she’ll apologize and tell me she’s trying to change. She’s the smartest person in the room, no, in the world, and knows what’s best for everyone. I feel trapped. She has threatened to make me support her because she’s an immigrant. I could go on but I won’t. No matter what I do or say there’s always something more I should have done or said that would have kept her from getting angry with me. It’s very clear who I am married to. I am so sorry to hear about your painful situation. I think you might want to look into your legal options for getting away from her. It might be time to save yourself so you can live a happy, healthy life.